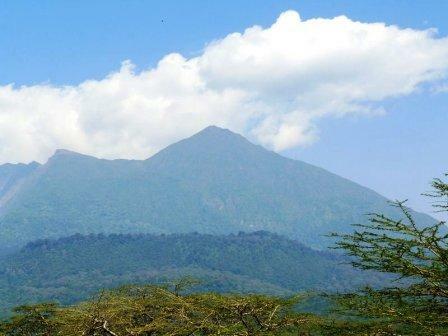 Arusha is one of the oldest towns in Tanzania and is also the gateway to the world famous game sanctuaries of Serengeti, Ngorongoro, Tarangire and Lake Manyara. A stopover in Arusha is sometimes included in a safari itinerary, due to flight schedules, and this provides an ideal opportunity to experience the ambience of a comfortable lodge. Arusha also offers good shopping for artefacts or curios as well as locally mined stones such as Tanzanite and Ruby. 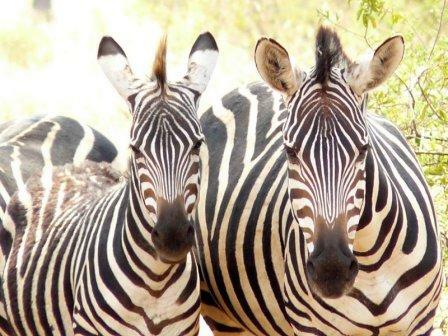 A visit to the nearby Arusha National Park offers the opportunity to combine game drives and a nature walk where visitors can leave their safari vehicle and walk through the high land Montane forest. 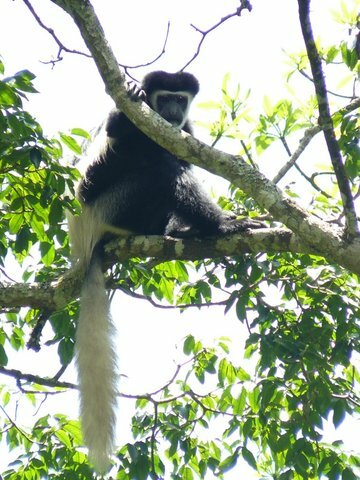 The most common animals found in this park are the Abyssinian black and white Colobus monkeys, vervet monkeys, red forest duikers, elephants, giraffe and bushbuck. 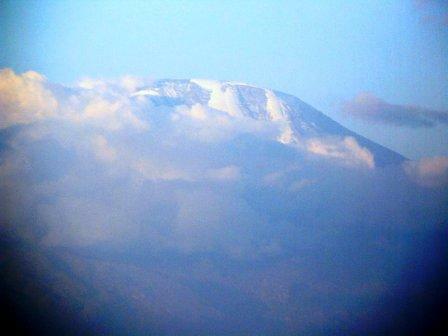 The rugged Mount Meru (4575m above sea level) and the majestic Mount Kilimanjaro towering at 5895m are both visable on clear days from many locations in the park. 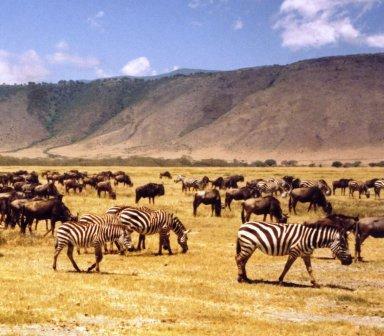 Lake Manyara is located beneath the cliffs of the Manyara Escarpment, on the edge of the Rift Valley. 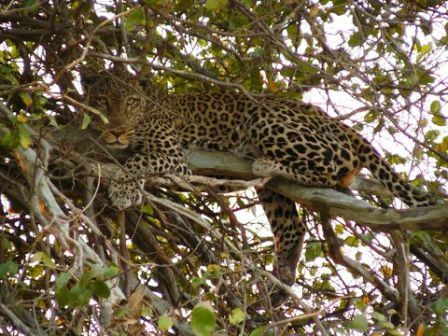 Lake Manyara National Park offers varied ecosystems, incredible bird life, breathtaking views and is one of the oldest and most popular sanctuaries in East Africa. 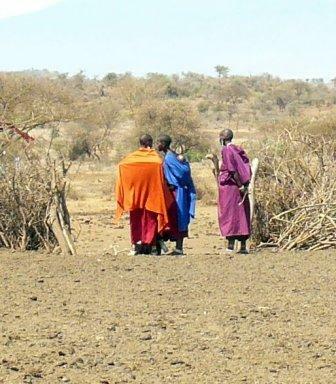 Its ground water forests, bush plains, baobab strewn cliffs, and algae-streaked hot springs offer incredible ecological variety in a small area, rich in wildlife and incredible numbers of birds. 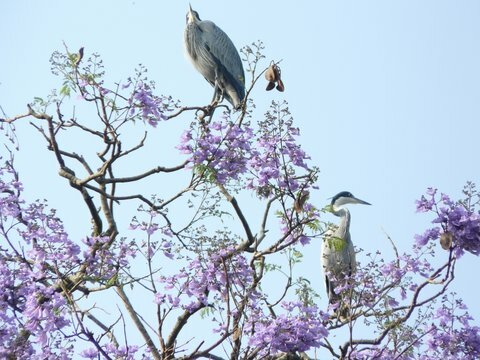 The alkaline soda of Lake Manyara is home to an incredible array of bird life. Pink Flamingo stoop and graze by the thousands, colourful specks against the grey minerals of the lake shore. Other common water birds to be seen here are Yellow-billed storks, Herons, Pelicans, Spoonbills and Eqyptian geese. 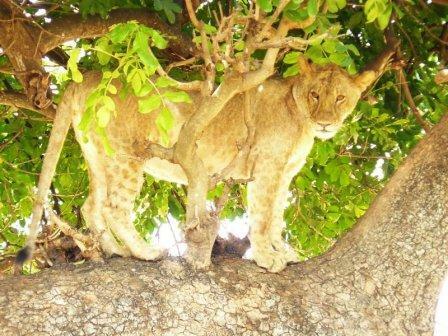 Lake Manyara’s famous tree-climbing lions are another reason to pay this park a visit. Is easily Tanzania’s most famous national park, and it’s also the largest, at 14,763 square kilometres of protected area that borders Kenya’s Masai Mara Game Reserve. 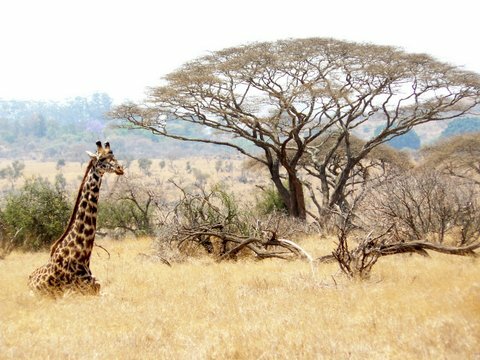 Its far-reaching plains of endless grass, tinged with the twisted shadows of acacia trees, have made it the quintessential image of a wild and untarnished Africa. 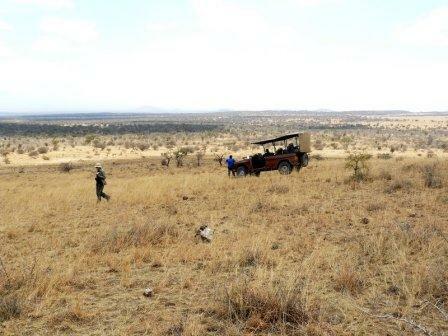 The main drive areas in the Serengeti are the Seronera Valley, the Western Corridor, and Lobo or northern Serengeti. 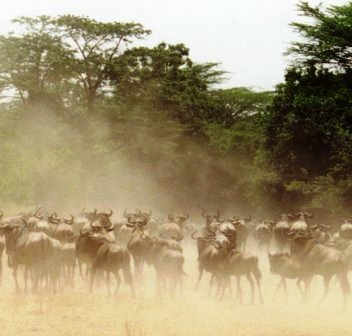 The annual wildebeest migration through the Serengeti and the Masai Mara attract visitors from around the world, who flock to the open plains to witness the largest mass movement of land mammals on the planet. More than a million animals make the seasonal journey to fresh pastures to the north, then the south, after the biannual rains. The sound of their thundering hooves, raising massive clouds of thick red dust, has become one of the legends of the Serengeti plains. 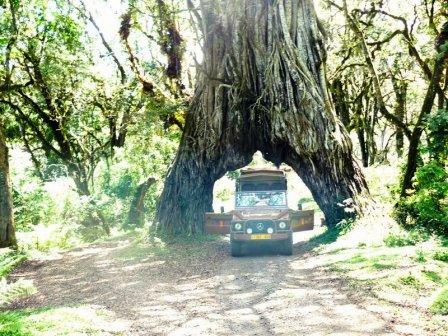 Lies 120 km south of Arusha and offers a wide variety of wildlife in its area of 2,600 sq. km. 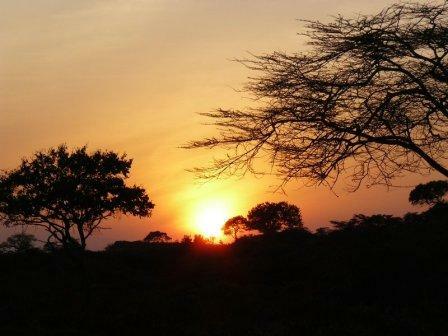 The stands of ancient baobab trees, large family herds of elephants, prolific bird life and dry season concentrations of wildlife make Tarangire the classic Africa of lore – feted by explorers, immortalized in documentaries and sought after by the discerning traveler. 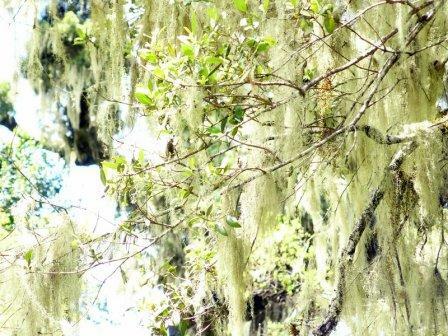 As in all ecosystems, the vegetation and the types of animals you find are closely correlated. 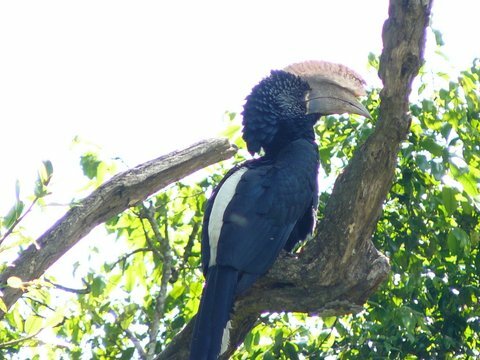 The principal features of the park are the flood plains and the grass-land, mainly comprising of various types of acacia trees, and a few scattered baobabs, tamarind and the sausage trees. The most common animals found in the park include zebra, wildebeest, lion, leopard, waterbuck, giraffe, elephant, gazelles, impala, gerenuk, lesser kudu and the beautiful fringe-eared oryx. Over 300 species of birds have been recorded in the Park. ZANZIBAR – Set like a jewel in tranquil coral waters, only 20 minutes flight from Dar es Salaam, is one of the world’s most beautiful islands. The different races that have settled in Zanzibar over the centuries have left an imprint on the people and the architecture. The “House of Wonders” and the narrow streets of the Old Stone Town are just some of the vivid reminders of the islands long and coloured history. Zanzibar is the birthplace of the Swahili culture with its elegant architecture, full of balconies, courtyards, carved doors and mosques. For centuries the historic spice Islands of Zanzibar have evoked a mystical and magical dream. Fascinating history, exotic spices, sandy beaches and hospitable people… this is the enchantment of Zanzibar. Different excursions are arranged while in Zanzibar including the spices plantations in the countryside where a variety of seasonal spices, tropical fruits and medicinal herbs are grown. Zanzibar is popularly referred to as the “Spice Islands”.